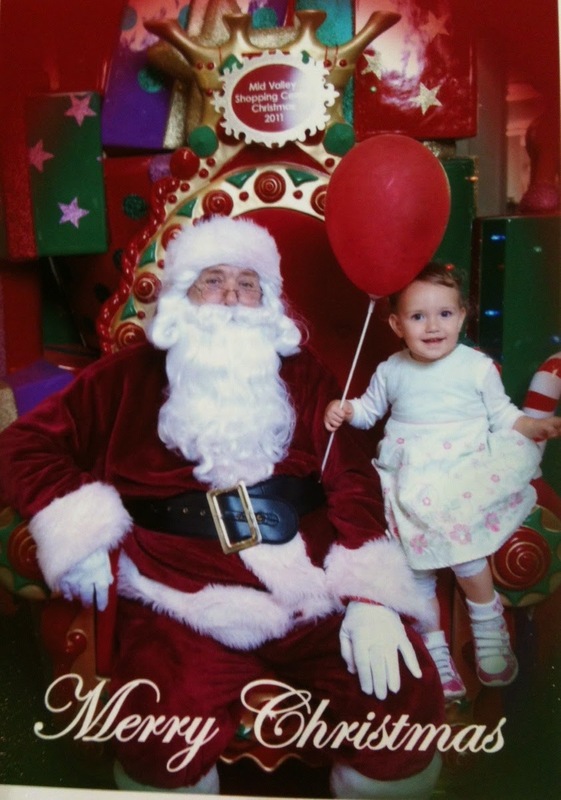 My four-year-old has enough Santa Photos to start an art gallery. 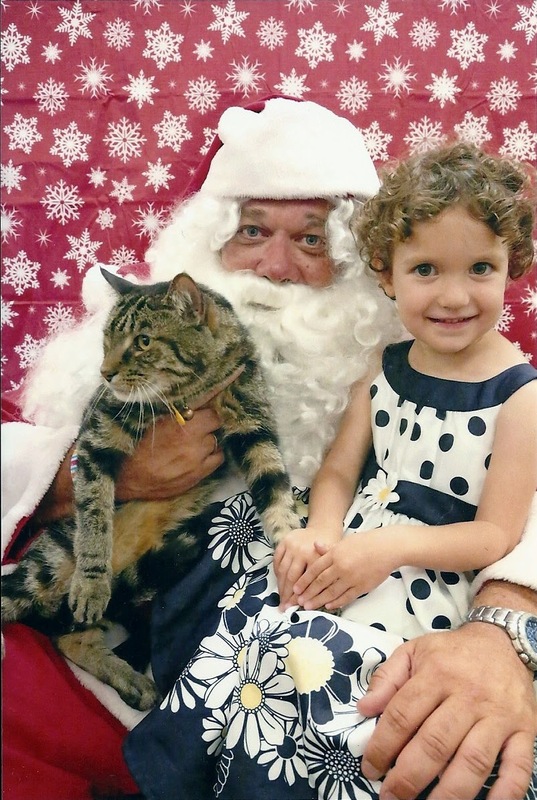 Ranging from the screaming baby photo to pictures with her grandparents or our pet cat---we've not had a year yet, where she has only had one Santa Photo. Each photo has it's own story. Like the Santa who told me, "I don't make eye contact with the babies, because that's calming." Suffice to say, my one-year-old was not calm, she's smart enough to know you don't trust a person who won't make eye contact with you---she was fine as long as he didn't touch her. This year our Santa at the beach photo was a new low. 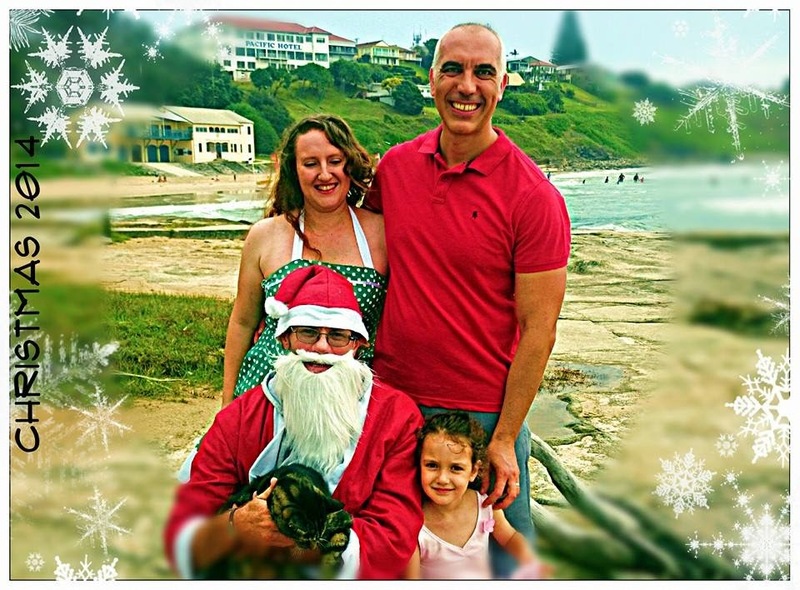 Imagine my surprise when we arrive at the beach to find Santa with a $2 beard, and creepy kleptomaniac-esq glasses standing beside the photographer dressed in a sweat soaked T-shirt and dirty jeans. My eyes scanned the rocks for a camera---nothing. "Um, where's the camera?" I stutter. "Oh, I'll be using my phone," he responds, pulling a Samsung from his back pocket. "It has 20 megapixels." RED PANIC ALARM! I'm imagining this guy stealing our identity, selling photos of my daughter on the internet or kidnapping my cat. Calming myself I'm searching for an excuse to leave. But my nice side is in full swing, I saw others get pictures with him, so I go along with it. The photos were pretty good, except that I wasn't looking. PHEW! On Christmas Eve I received a Christmas miracle---a Santa photo in which everyone was smiling and looking in the right direction!!! Granted my brother and cat didn't make it into the shot, but as far as family photos go, this is a winner. I wish you each of you a Christmas miracle of smiles, joy and unexpected blessings. From my family to yours have a happy Christmas!